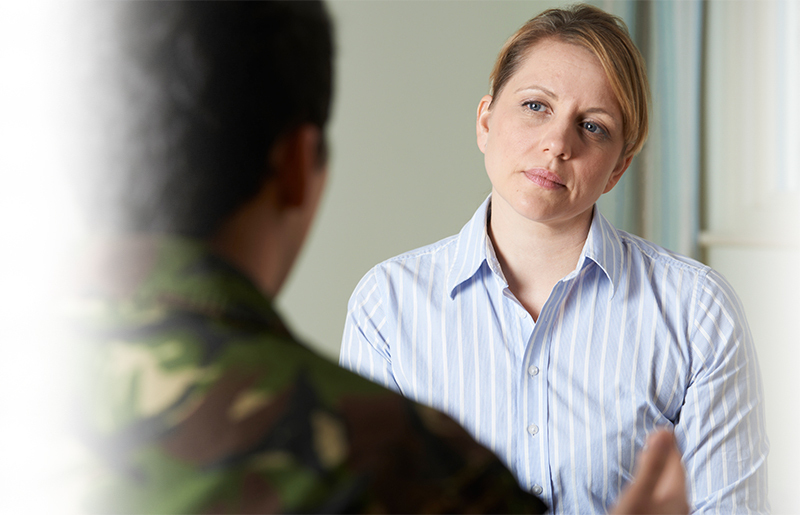 Do you think that your pre-employment psychometric exams might stand in the way of your goal to work for the British Ministry of Defence? Don’t worry, JobTestPrep’s exclusive PrepPacks™ will help you achieve your career ambitions with high-quality practise materials and test simulations. Regardless of whether you wish to land a full-time job or a temporary position in the Ministry of Defence internship program, we’ve got you covered! Practise with our study guides and prepare to succeed throughout the hiring process. When applying for the Ministry of Defence graduate scheme or a full-time career, you will find a variety of satisfactory positions available in different roles located in various locations across the UK. The Ministry of Defence seeks candidates who can contribute to their objectives and aims to enable their employees in fulfilling their potential. Online Application: The application process may be completed online or in-person. You may need to answer several competency-based questions and attach your CV when submitting an application form online. Telephone Interview: The following stage may include a 10-30 minute phone screening interview with a hiring manager. You may be asked scenario based questions which involve role-playing exercises. Tests: After the initial interview stage, it is common for applicants to be sent an online assessment, such as the numerical and verbal reasoning exams, to further evaluate their abilities. In-Person Interview: Aside from having one-on-one interviews, part of the final interview process may mean being invited to the assessment centre to be evaluated in a group setting as well. Preparation for this day is necessary, as it includes taking written tasks, giving a prepared presentation, solving case studies and performing role-playing exercises. During the hiring process, candidates may be expected to take pre-employment online assessments as well as aptitude entrance exams. The Ministry of Defense psychometric test is comprised of numerical, verbal, abstract, and diagrammatic reasoning tests. Numerical reasoning exam assesses candidates’ understanding of numerical data and ranges from basic mathematics to more complex numerical critical reasoning assessments. The diagrammatic reasoning test evaluates applicants’ strength at processing diagram's components and focuses on their information processing abilities. The verbal reasoning tests examine English language skills in terms of vocabulary, grammar, comprehension, and critical reasoning. A mechanical aptitude test may also apply for applicants who are interested in this field and includes concepts Newtonian mechanics and dynamic electricity. Practise for your aptitude tests now. A common test to complete is the Revelian Cognitive Ability Test. You will have 20 minutes to answer 51 questions. Therefore, it is important that you practise beforehand to eliminate the element of surprise. Take advantage of JobTestPrep's Ministry of Defence assessment exercises. How does your previous experience and skills apply to this industry? How do you handle working in a team with someone who has different viewpoints from you? What have your main achievements been during your career? To excel in the interview you prepare yourself ahead of your assessment and utilise all Ministry of Defence interview tips. It is important you know what types of interviews you can encounter.A competency-based interview involves questions regarding applicants’ work experience as well as the outcomes which resulted from their past decisions. Applicants’ answers are used to assess their personality and compatibility for the role. Additionally, a technical interview focuses on job seekers’ skill set in relation to the position. British Ministry of Defence and other trademarks are the property of their respective trademark holders. None of the trademark holders is affiliated with JobTestPrep or this website.